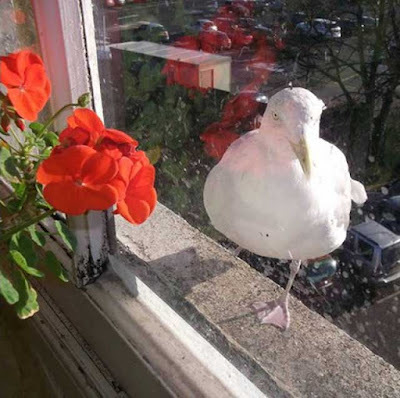 A pensioner from Dover, Kent, says a seagull has been visiting his window for eleven years. The gull, who he has named "Jonathan", has kept coming back despite losing a leg. 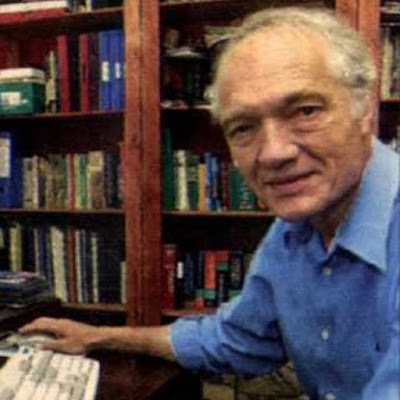 Enrico Connor. 75, says the bird first landed at his kitchen window in May 2005. He said: "From that day onwards, Jonathan has come to my windowsill and visited me almost ritually at the same time every day. "I was so pleased for the company that I began to look forward to his arrival and fed him scraps of food." When scaffolding was erected around Mr Connor's property one day, the gull got his right foot trapped between two planks. Mr Connor said: "As he tried to prise it clear, his leg broke – I almost cried when it happened. "After this event, there was no sign of Jonathan for some days when he again landed on my windowsill – struggling on only one leg. Ever since then, either out of pity or because of a sense guilt I began to feed him regularly." Mr Connor said Jonathan returned with "Mrs Jonathan" a couple of months later. Father-of-two, Mr Connor added: "Jonathan is quite distinguishable from other seagulls because of his missing leg. "Mrs Jonathan can be recognised by an extra small pupil in the left eye. My relationship with the Jonathans has continued for several years and, on occasions, they come accompanied by their newest chick. It's almost a proud moment for me when that happens for the first time. So, if you see a one-legged seagull, please spare a thought for the old man sitting by his kitchen window waiting for a visit from his friend – Jonathan." OH MY GOD I could not witness that bird breaking his leg off! I can hardly think about it. How horrible. Poor birdy.